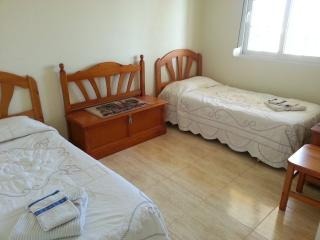 This lovely third-floor apartment comes with wifi and air-conditioning and it is wheelchair accessible. 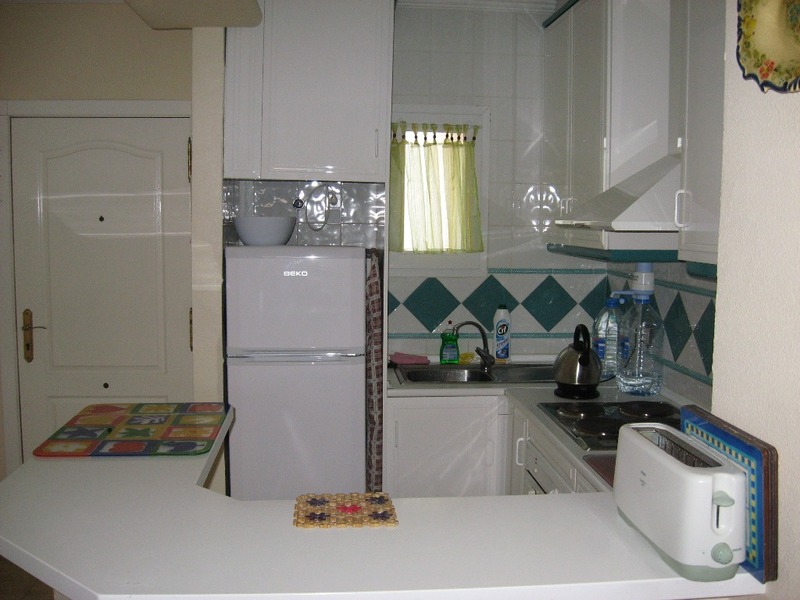 It has a well-equipped kitchen, a bright, spacious living area, 2 bedrooms and a bathroom. The entrance to the apartment is via a shared terrace with the neighbouring apartment, overlooking the communal pool and garden area. 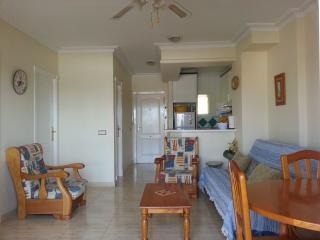 There is also a private south-facing balcony with a table/seating area and loungers. Each bedroom has two single 3ft beds (4 in total) with a bed/settee in the lounge which comfortably sleeps two adults (pillows and bed covers are stored underneath). 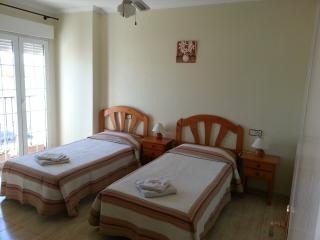 Towels and bed linen are provided in each bedroom and there is a washing machine and clothes horse/washing line on the balcony - clothes dry very quickly in the Spanish weather! 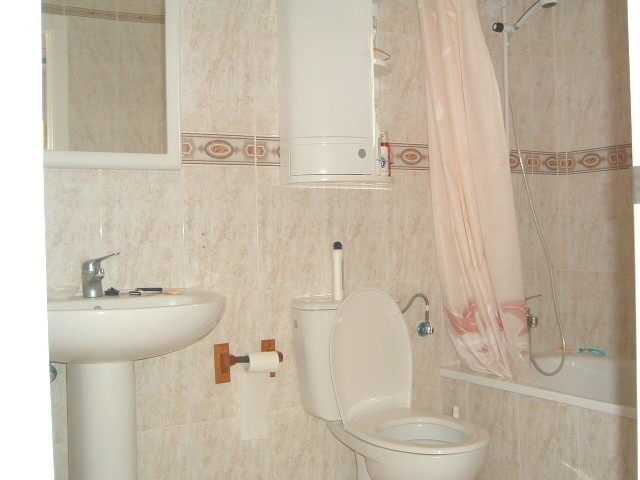 The bathroom is fitted with a shower/bath and bidet. In the living room, you will find a satellite flat-screen television, with an excellent choice of stations in English and various other languages, for your enjoyment after a long day’s swimming or golfing! 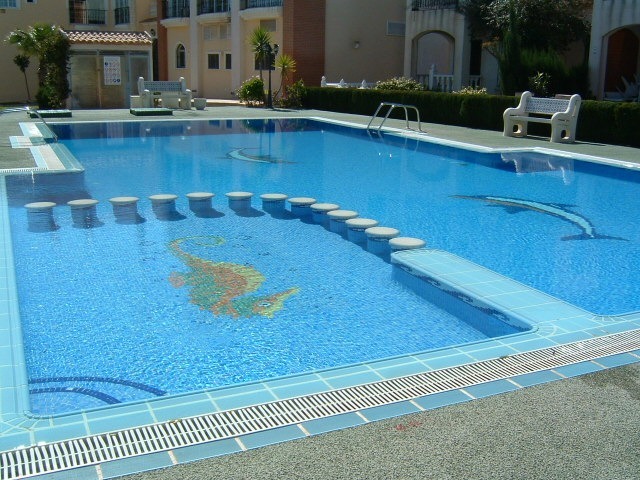 The shared garden and communal area has a large swimming pool, with an enclosed baby pool (see pictures). 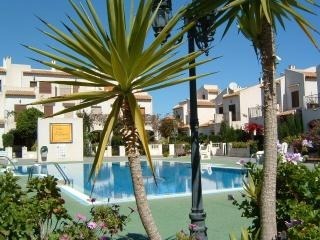 The pool is very private and the area is very well maintained all year round. You will often have the pool to yourself as many of the people living in the development are locals and rarely use the pool! There is plenty of available roadside parking at the rear of the apartment block. Consum supermarket is immediately across the road as well as a variety of shops, bars and restaurants. 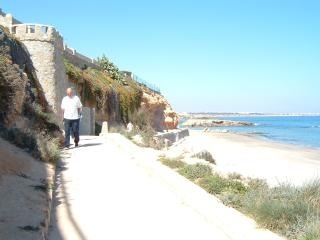 The beach is a 10 minute stroll or a 2 minute drive. If you like to shop, Zenia Boulevard is just a 10 minute walk from the apartment. It has a fantastic array of shops and restaurants to suit every taste. 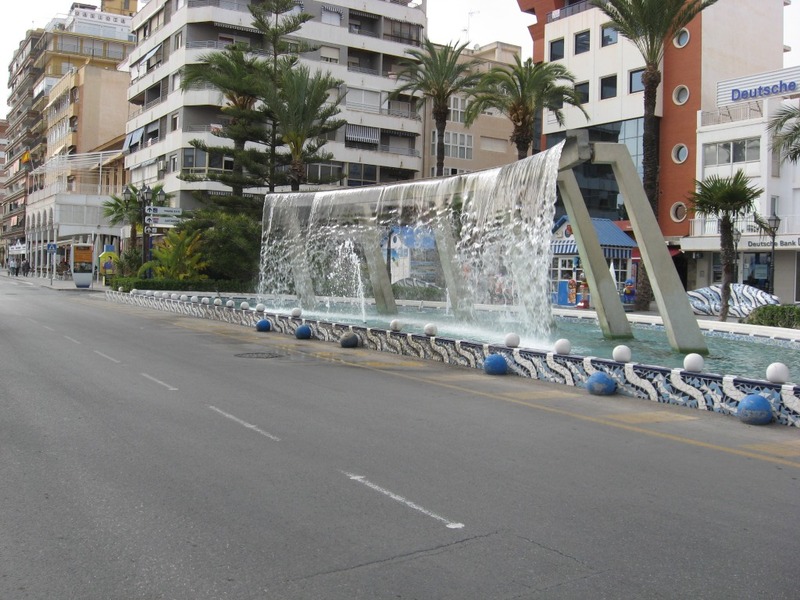 There is often live entertainment provided on the stage in the centre of the boulevard and the children will enjoy cooling down while running around among the sprinklers. There is also a virtual reality booth in Zenia Boulevard, for anyone who would like to take a thrilling 15 minute trip to the Great Wall of China and many other adventurous places while in Spain! There is a taxi rank at adjacent La Zenia roundabout. There are also daily coach trips which leave from the car park of Consum across the road for guests who would like to visit Terra Mitica theme park in Benidorm (1.5 hour drive) for an incredible day out with the children. 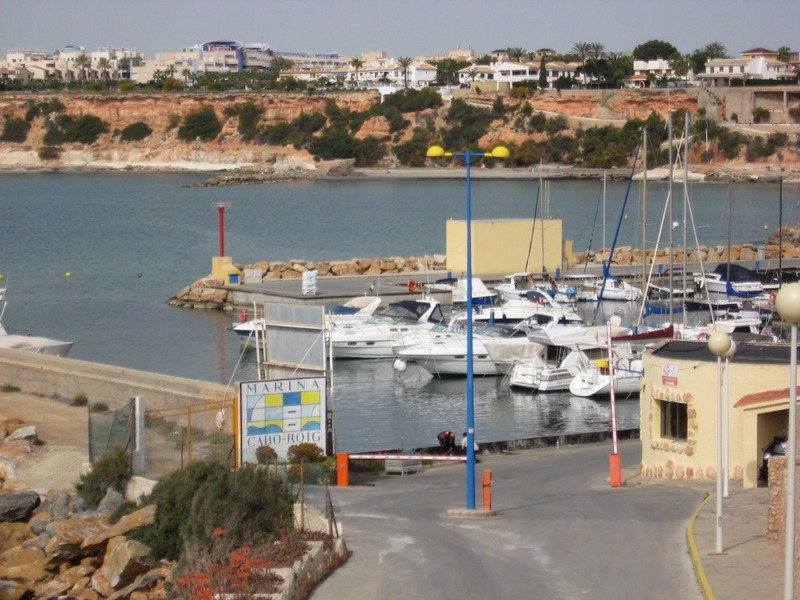 The coach trip company also arranges boat trips to the Isle of Tabarca from nearby Torrevieja, nights out to Benidorm Palace, and many other exciting choices of places to visit. Contact details for the coach trip company are available in the guest information brochure in the apartment. 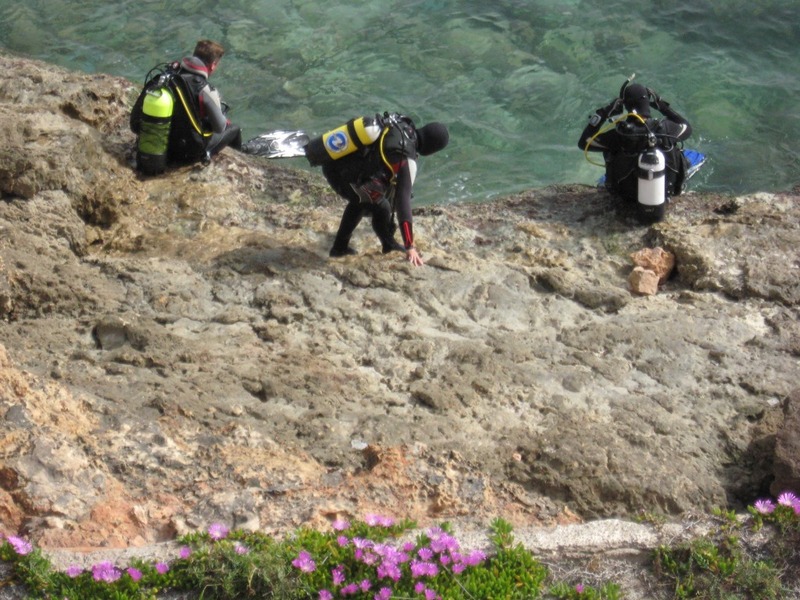 You will be surprised at how little the trips cost. 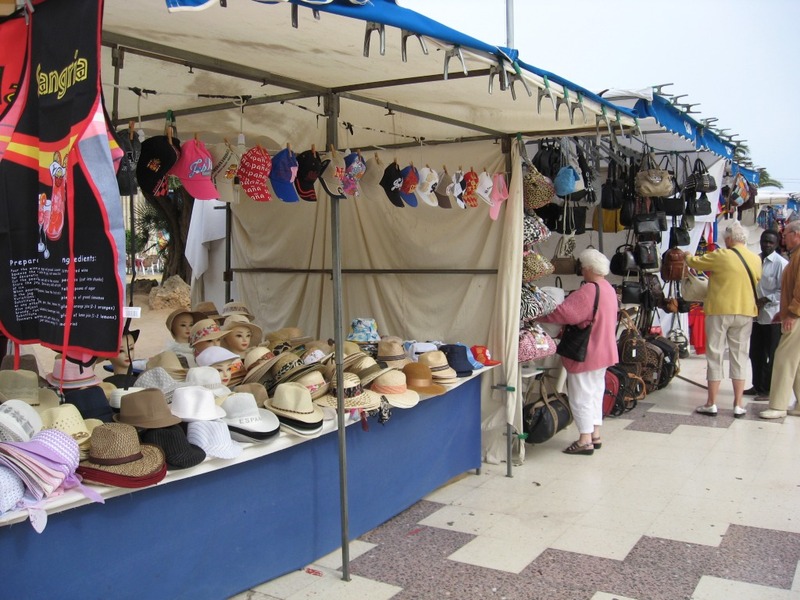 The nearest local market is held in Playa Flamenca (approx a 15 minutes walk) every Saturday morning and is well worth a visit. For those of you who like to keep up to date on all the big sporting events, Paddy's Point and Gogartys pubs will make sure you are not disappointed, and they are only across the road from the apartment. There is even a screen which can be watched while sitting outside enjoying the sunshine. 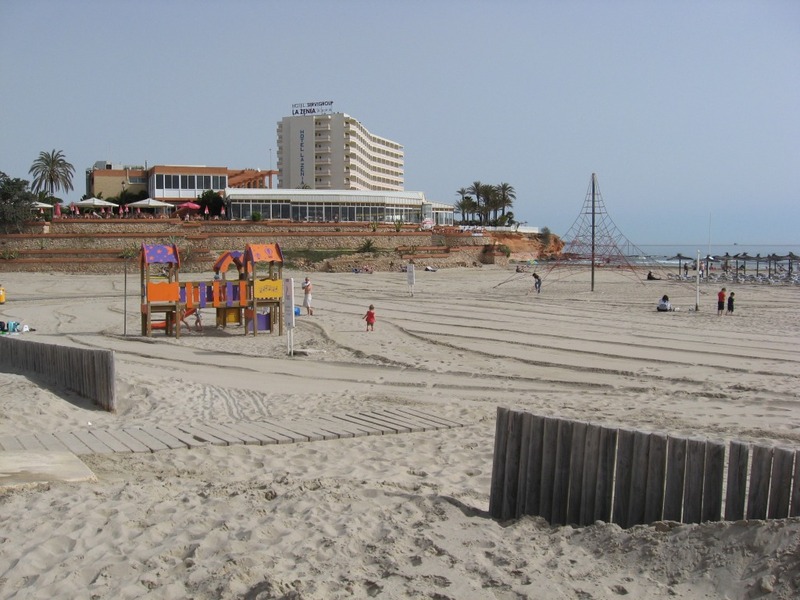 Nearby Torrevieja has many attractions such as its aqua park, boardwalk, market stalls, restaurants and lively night life. It also boasts a theatre which stages a variety of concerts and shows. 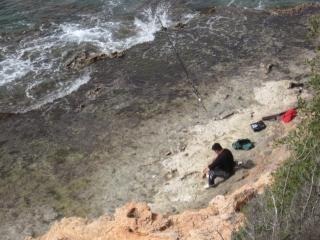 There are also short boat trips from the port area (approx half-hour in duration) along the coastline from Torrevieja. 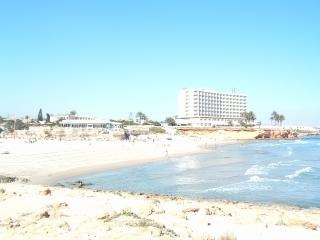 There are several excellent golf courses a short drive away including Villamartin, Las Ramblas and Campoamor. 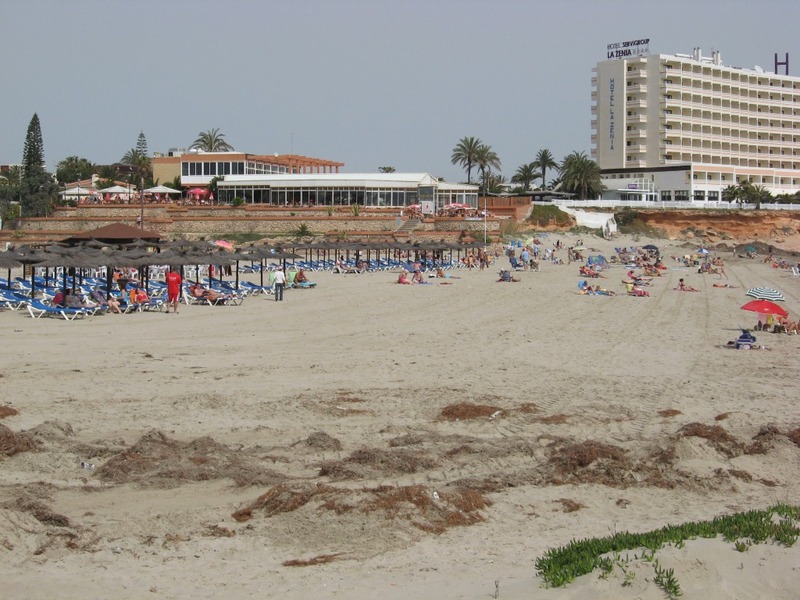 The La Zenia golf society arranges trips to many of the surrounding golf courses and will arrange club hire etc. if required. This group meets on the morning of golf trips across the road at Chapter One bar beside the taxi rank. Paddy's Point also has a society which arranges trips to local golf courses. 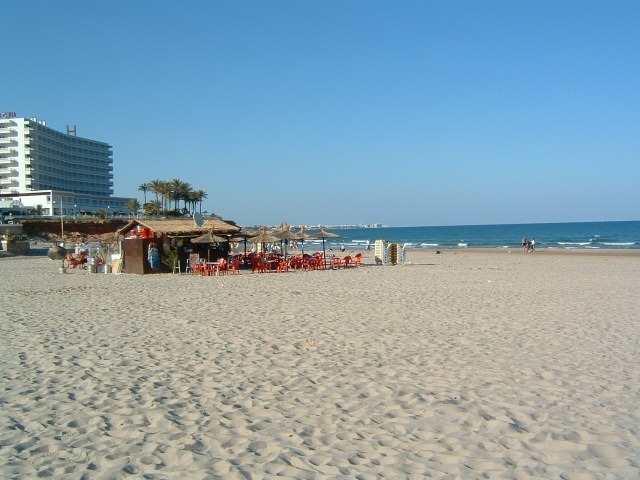 The resort is just 35 kilometres south of Alicante's international airport, El Altet. Flights from London/Dublin take about two and a half hours. 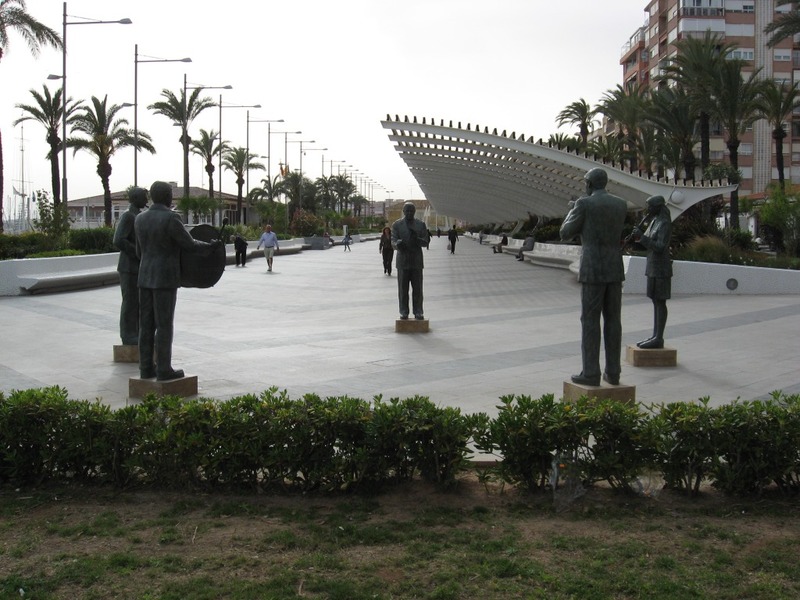 Fly from with Ryanair to Murcia San Javiar Airport (20 minute drive to apartment) or with either Aer Lingus or Ryanair to Alicante Airport (40 minute drive to apartment). Taxi transfer from the airport to the apartment can be arranged on request. Alternatively, car hire can be arranged if required. 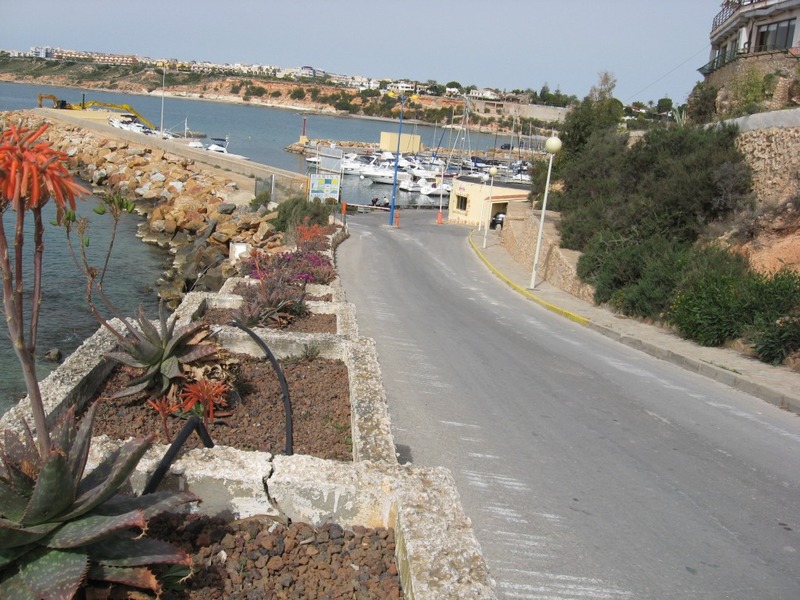 The apartment is located beside La Zenia roundabout, above Alejandros German Restaurant and across the road from Paddys Point. 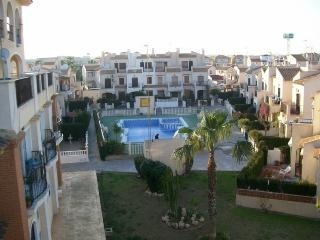 This apartment is located on the 3rd floor of a commercial centre in central La Zenia. There is a restaurant and bank on the ground floor, offices and dentist on the 1st floor and 8 apartments, 4 each on the 2nd and 3rd floors. There are stairs and a lift.The south facing balcony overlooks Ctra. 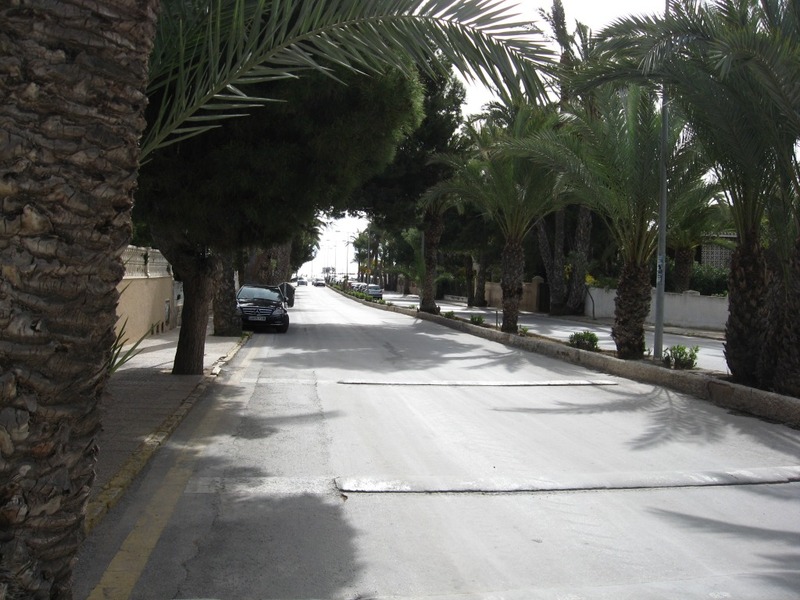 de Villamartin, a busy street leading to nearby Zenia Boulevard shopping centre and Villamartin golf course. 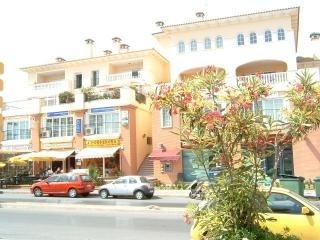 Across the road is a large supermarket and a commercial centre with shops, bars and restaurants. 4 Stars Apartment , 83 sq. m.
Travellers pay a 25% booking deposit to reserve the apartment. The 75% balance must be paid 8 weeks before check-in. If the guest pays the full balance on time, they receive a 50% refund of the total cost if they cancel at least four weeks before check-in. 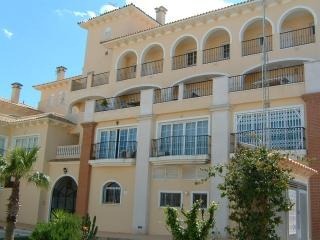 A €200 security deposit is payable on arrival date. This will be refunded on departure date if there is no damage to the apartment or its contents. A €50 cleaning fee will be payable to the management company on date of arrival.